JustFab allows you to enjoy a completely personalized shopping experience. 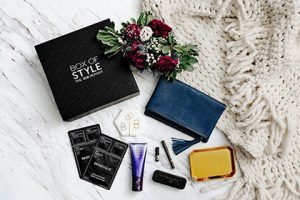 This company’s subscription boxes bring you head-to-toe styles that are designed in accordance with your preferences. 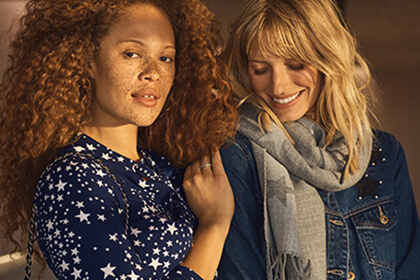 Get gorgeous shoes, bags, jewelry, clothes, and more whenever you want and enjoy the benefits of being a JustFab subscriber. 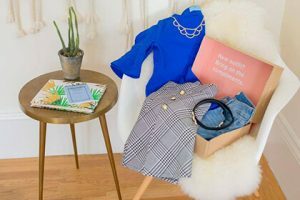 To help JustFab pick out the perfect items for you, you first need to take a short style quiz and state what kind of shoes you prefer, which celebrity style inspires you, and provide more information about the size you wear and other important details. Once you subscribe, you get great recommendations and access to thousands of styles and exclusive offers. The subscription is flexible and allows you to decide if you want to shop or skip the month. You can skip as many months as you want, just make sure you do so by the 5th of the month so you do not get charged. If you do not decide whether you want to shop by the said date, your card will be charged $39.95 and this amount will be credited toward your next purchase. If you are not happy with the items you ordered, you can exchange them for other items in the store or return them for member credit or store credit completely free of charge. Our ratings are the result of an objective and independent evaluation of JustFab, generating the final rating that reflects the overall quality of the product. Ratings may change as the service changes. No user reviews yet! Be the first to review JustFab. There’s no JustFab coupons or discounts right now.